Graduating from the Royal Veterinary College in 1992. 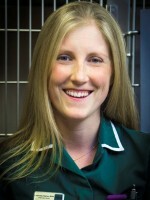 Alex worked for the PDSA before embarking on surgical residencies at London and Glasgow Veterinary Schools. Alex was awarded the RCVS Diploma in Small Animal Surgery (Orthopaedics) in 2000 and became a RCVS Specialist in Orthopaedics in 2001. After 3 years as a senior staff clinician in surgery at the Queen Mother Hospital (RVC), he was invited to lecture at the University of Florida Veterinary School during 2003. 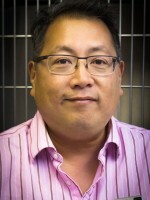 Having opened Chiltern Referral Services in 2003, he has been developing the clinic into the specialist service that provides for the referral needs of local vets today. Simon graduated from the university of Bristol in 1981. 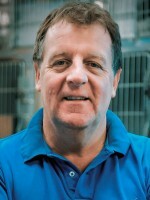 He joined the surgery department at the Royal Veterinary College in 1983, where he became the lead neurologist. He was awarded a PhD in neurology by the University of London in 1988. He was Assistant Professor at the College of Veterinary Medicine, North Carolina State University from 1987-1992. He is a diplomate and former president of the European College of Veterinary Neurology. He returned to the University of London in 1992, where he developed the neurology and neurosurgery service, training many students and residents. Simon has written numerous papers, lectured throughout the world and authored books on neurology and neurosurgery. He is adjunct Professor of clinical Science at North Carolina State University. He sees neurology cases exclusively at Chiltern Referral Services by appointment. DrMedVet CertVD DipECVD MRCVS, RCVS & European Specialist in Veterinary Dermatology. Ariane joined us in 2006. 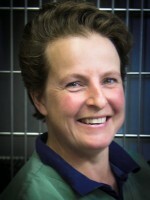 She completed her veterinary training at the University of Munich before working in small animal practice. After an internship at the Animal Health Trust she completed a residency at the R(D)SVS in Edinburgh. Ariane passed her RCVS certificate in Dermatology in 2002. She then went on to achieve her European Diploma in 2005 and then became a RCVS recognised dermatology specialist in 2008. Ariane is actively involved in the British Veterinary Dermatology Study Group. She was the last Chief Examiner for the RCVS Certificate in Veterinary Dermatology and helped organise the ECVD Residents Post Congress Day. She is commonly asked to lecture at national and international level and has published a large number of papers about skin disease in animals. Hannah qualified from the European School of Osteopathy in 1998 and has been working in the veterinary field every since. 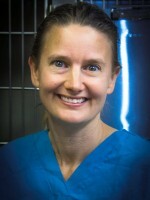 She completed a post graduate course in animal osteopathy from the Osteopathic Centre for Animals in 1999. Since then she has been working closely with veterinary surgeons treating both large and small animals for various conditions. With equal experience in canine sport and companion animals she can support the clinicians in providing the best post operative or post injury care, including treatment and tailor made exercise regimes. 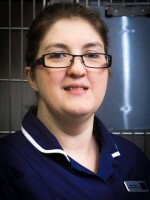 Louise began nursing in 1998 and qualified in 2005. 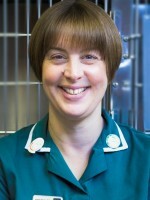 She has worked in small animal, mixed practice and a large referral centre before joining Chiltern Referrals in 2011. She gained her National Certificate in Business Development in 2012. As well as nursing Louise has a keen interest in client care and management and has taken on this role within the practice. Louise lives with her husband, daughter, their dog and cat. 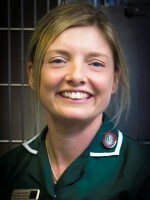 She developed an interest and qualification in Veterinary Nurse training, animal physiotherapy and rabbit nursing. Karen has keen interests in Dermatology and K-Laser therapy and carries out laser clinics at Chiltern Referrals, as well as assisting our Dermatologist. Karen lives locally and has many pets including dogs, cats, rabbits and parrots. Since working at Chiltern Referrals Charlotte has developed a keen interest in anaesthesia and patient care. In her own time she enjoys walking the family dogs and riding her horse Snip. She lives with her husband locally. Alison joined Chiltern Referral Services in November 2012 after 6 busy and rewarding years at Dogs Trust, Harefield. Prior to that, Alison had gained 5 years experience working in various other veterinary practices in the Uxbridge area. 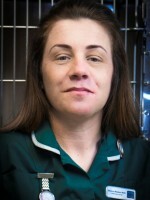 She is looking forward to starting her Veterinary Care Assistant Course in 2014. In her spare time Alison enjoys baking cakes and watching motorsport.